agsbeagle Store. 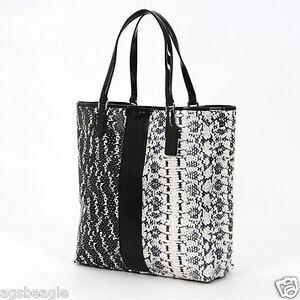 COACH SIGNATURE MIX EXOTIC LEATHER TOTE BAG F31023 in BLACK and WHITE. Comes with paper bag, complete with tag price and care card. Black and Cream. 13 x 14.00 x 4.75.